This month's Weekend Girl is the multi-faceted Olivia Lovenmark. A long-time Vancouver fashion face turned business woman and wall street enthusiast. In honor of the launch of her latest venture, bergdorftobloomberg.com, we thought there was no better time to feature such a talented young woman. Olivia's new website and concept stems from her love of both fashion and finance. Features are written with a fresh new outlook and informative view on the world of finance and business. 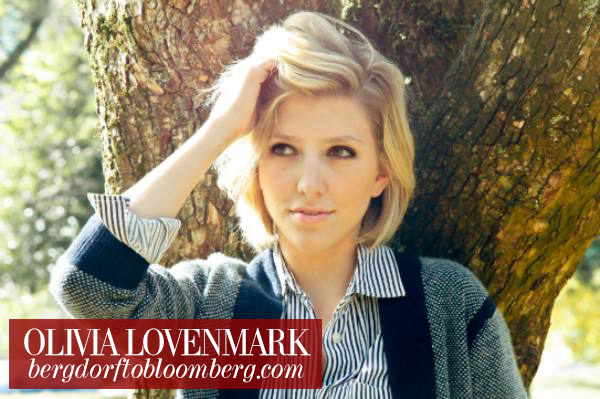 Lovenmark's goal is to make a complicated industry accessible and understandable to the every day woman. Her spin on language and appealing images will have you checking each morning to see if a new post is up. Pour yourself a coffee and get ready to spend your mornings catching up on the business of fashion and finance.